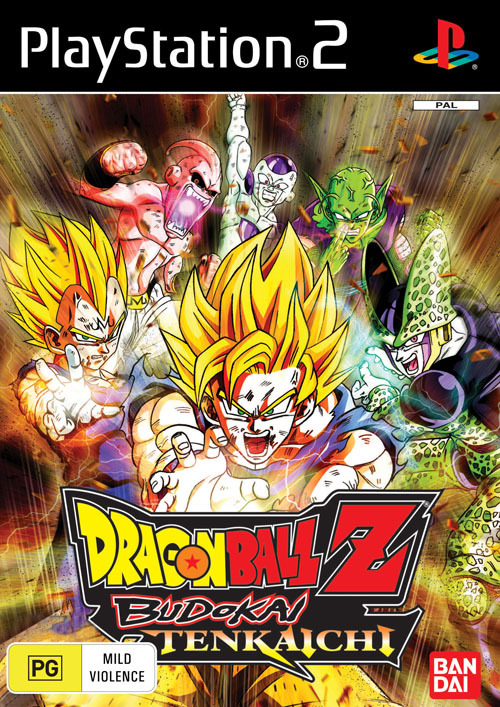 Tenkaichi takes the Budokai franchise and spins it on its ear being the latest in the Dragonball Z series. 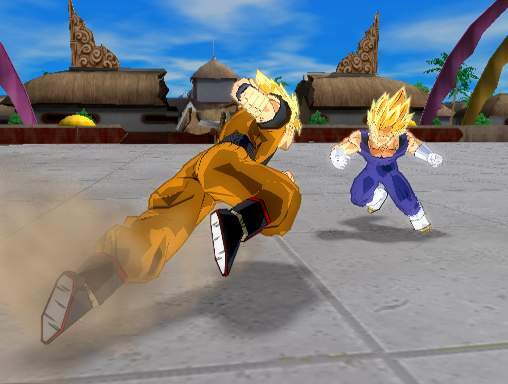 Going from the standard fighter and replacing it with a roaming slugfest, Tenkaichi will throw some purists, however fans of the series will be stoked to see so many DBZ characters all in the one game. Whilst essentially still a fighter the 3D aspect to this title does allow for some good variations to the game. The characters are well rendered in 3D and although a tad pixelated at times when up close they actually look pretty cool. Your main problem will be the camera which is a tad on the stiff side to operate. 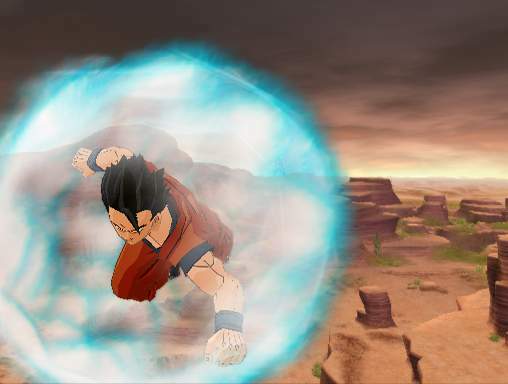 Bandai have taken into account some of the problems that you can face with a roaming fighter and by pressing down the L1 button you can lock onto your opponents with a fair degree of ease. This will allow you to lock from some distance away however it is only suited to heads on type attacks. Once you circle your opponent you will lose the lock. As some general trivia for you fanboys out there, Bandai changed the development team for this game to Spike (no, that’s their name, not what they do). I think that it’s been good for the series and as fans of the game we’ve been treated to a whole new look to the whole title as we follow Goku and Co on their hunt for the elusive dragonballz. Featuring a almost fully destructible environment, this game looks gorgeous and has fully come to life in the way that Spike have put it together. It feels like some gigantic smash em up cartoon that is extremely pleasurable to watch and take part in. Once you get the hang of how this game plays I think that most are going to find this to be the best in the series. I acknowledge that there are not as many attacks for you maniacs out there but really this game feels better than the ones that went before it. The speed has improved and also the general flow to the game has benefited from simplifying it all a bit. Ultimately this is the best game to date in the franchise and I found it highly enjoyable. The way it presents and the actual combat system are pretty cool. The only downside is the camera which needs a bit of attention. If you are a fan of the series you will love it, if you are a fighting game fan then you will most likely enjoy it a lot as well.